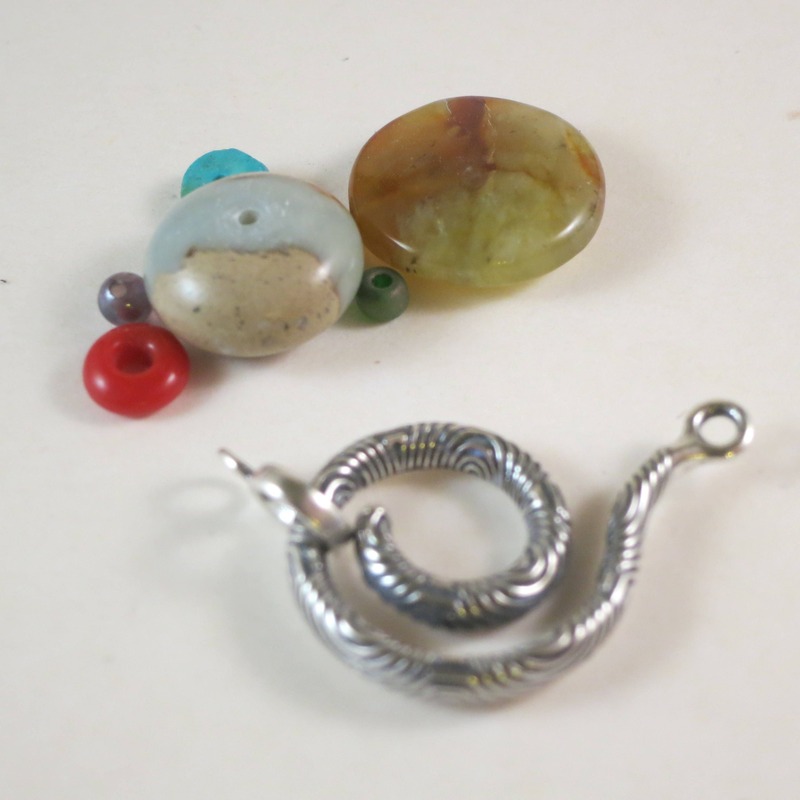 The clasp is about 2 inches across with the loop attached. 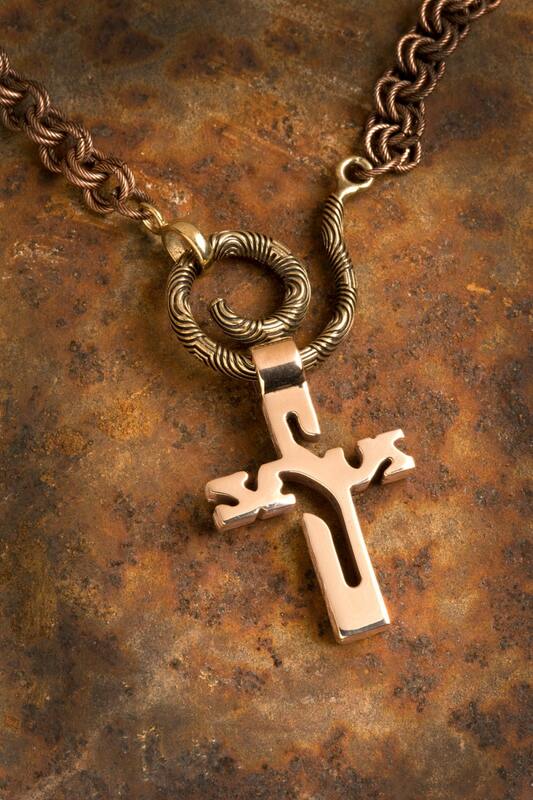 It is wonderful when used on a necklace alone or used as a clasp and bail. 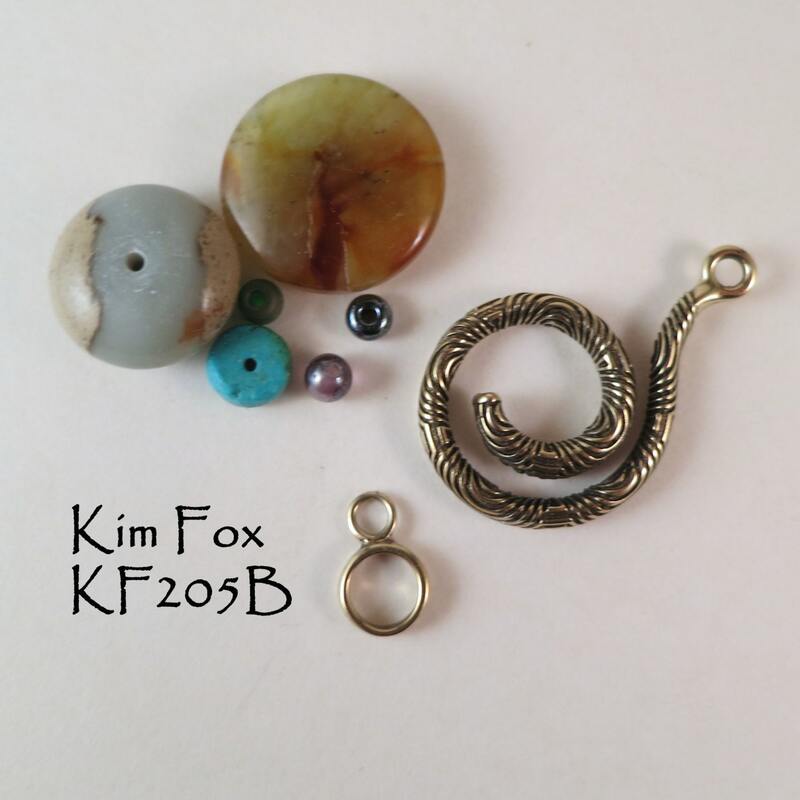 The bail allows for the removal of a pendant and the addition of another pendant easily on any necklace it is attached to. 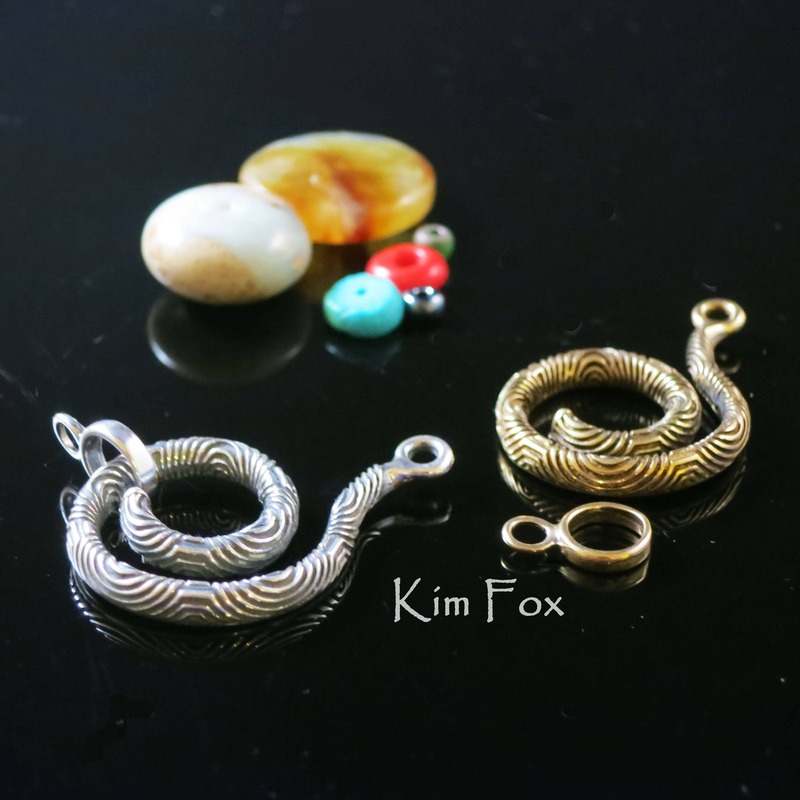 This is one of my most popular clasps and can be used with kumihimo, chain mail, stringing, wire wrapping as well as other jewelry forms. 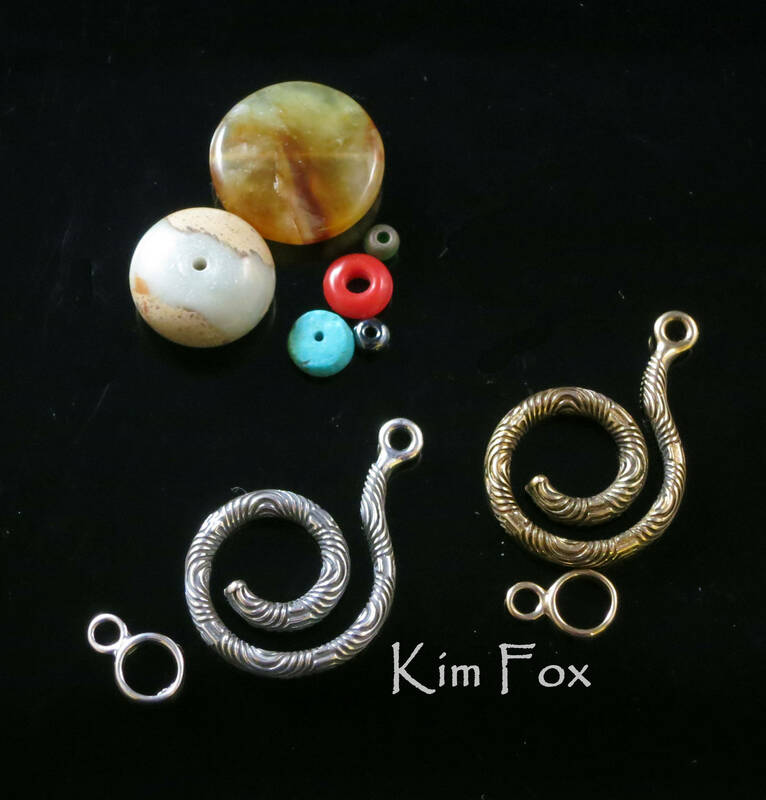 The clasp is durable and the spiral can be adjusted to allow for a wider bail on a pendant. The loops are large enough that a cord could be used with it as well. 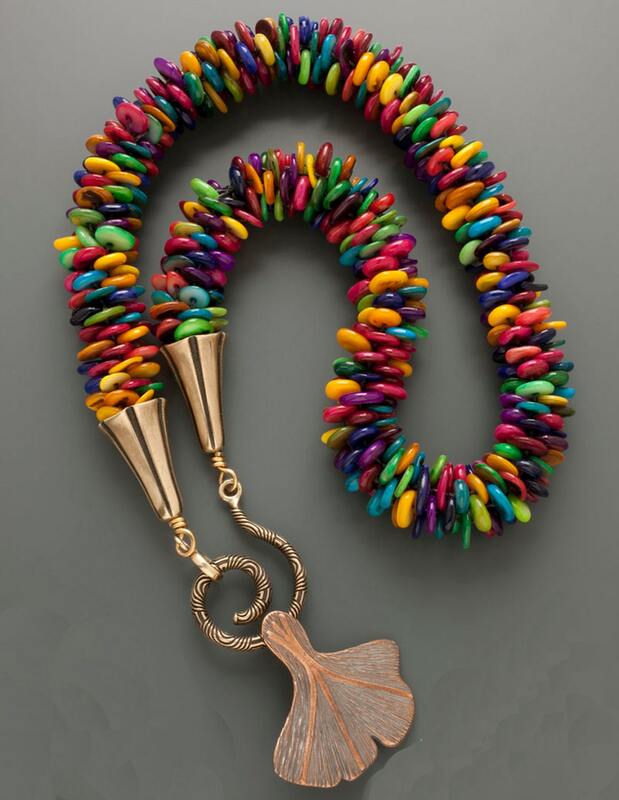 If you want to put multi-stranded necklace or a bead crochet or kumihimo necklace it pairs nicely with some of my cones to gracefully add the larger diameter and connections of those items. It started because I thought that there had to be a more sophisticated way to clasp a necklace other than an S hook. 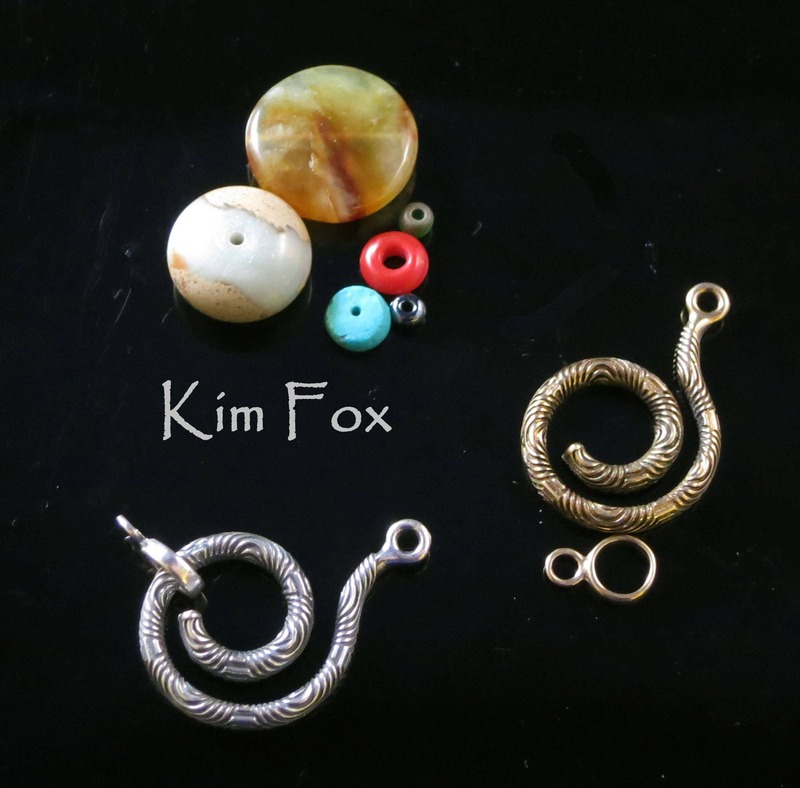 I want my clasps to add to what you create - add value and beauty.